The unique antique-textured finish of the Estate Wall recreates the appearance of aged, natural rock. Create virtually any seat wall planter, step or pillar design with these multiple length units. 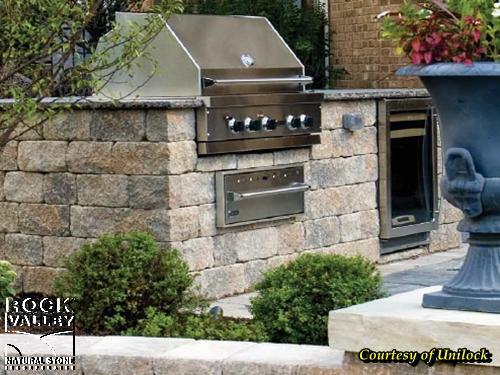 Estate Wall is ideal for constructing outdoor grill islands and fireplaces as well. To refine the look of Estate Wall even further, we recommend using Unilock's new Ledgestone coping for this wall system.